Losing someone to one of the Fatal Four turns your world upside-down in an instant. You may worry about your family’s future or be full of anger at whoever caused the accident – all while coping with tremendous grief at your loss. With the help of a qualified construction accident lawyer, you can determine what happened and hold any negligent parties accountable on a wrongful death in order to secure a better future for yourself and your family. 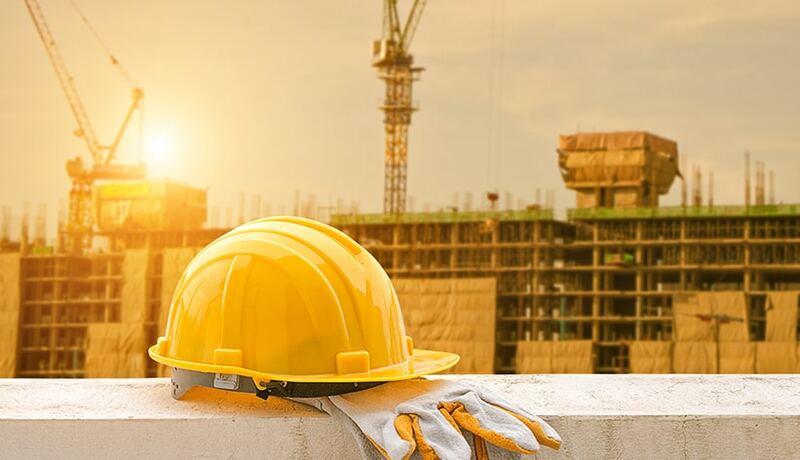 At Warren & Kallianos, our construction accident lawyers are committed to helping the families of construction workers who were killed in accidents in Charlotte and throughout North Carolina. Over the course of our decades of legal practice, Jeff Warren and Chris Kallianos have recovered millions of dollars in compensation on behalf of victims of serious construction accidents. We are ready to put our knowledge to work for you. Falls caused 40 percent of all deaths on construction sites, according to OSHA. This category includes both falls from a height and falls caused by slips or trips. Falls from a height are a common hazard in construction, where workers are frequently carrying out their duties on roofs, ladders, scaffolding, platforms, or other elevated surfaces. Employers should train workers on how to recognize fall risks and avoid them, and there are many steps employers can take to help reduce the risk of falls among workers. Slip and fall or trip and fall accidents are also common on construction sites. Although these are less likely to be fatal than a fall from a height, the risk of serious injury or death still exists. Debris, spills, clutter, or tools in the walkway can all lead to a slip or trip. OSHA estimates that electrocutions accounted for 8.5 percent of all construction site deaths in one recent year. Because construction by its very nature involves electrical equipment and unfinished or in-progress electrical work, the risk of electrocution on a construction site is much higher than it is elsewhere. Due to the risk of electrocution, OSHA requires construction sites to use certain safeguards, safety equipment, warnings, and procedures. These include the use of “lockout” and “tagout” procedures to turn off electrical equipment before work is performed. When these procedures are not followed, or proper safety equipment or warnings are not used or heeded, serious injuries or death can result. Electrical burns and injuries are among the most expensive and difficult burn injuries to treat. They run the risk of permanently disrupting the body’s own electrical impulses, used for crucial functions like maintaining the rhythm of the heart, and cause significant injuries to other internal organs. They also expose the patient to a significant risk of fatal infection from skin breakdowns, skin graft failure, and surgical revisions. About 8.4 percent of construction workers who lost their lives in one recent year were killed when they were struck by another object, according to OSHA. The objects involved in these fatal accidents were as small as a hand tool rolling off scaffolding and as large as cranes, bulldozers, and other heavy equipment. When a worker is struck by an object, many types of serious injuries may result. Workers who are hit by objects falling from a height may suffer fatal brain injuries or spinal cord injuries, even if they are wearing hardhats or other protective gear at the time of the accident. If a worker is struck by a large load of materials or a piece of heavy equipment, he or she may suffer fatal fractures, crush injuries, or other serious internal organ damage, in addition to head or spine injuries. Construction workers who died when they were trapped in or between two objects on the worksite accounted for 1.4 percent of all construction accident deaths, OSHA estimates. These accidents ranged from trench collapses that trapped workers to incidents in which workers were pinned between two pieces of moving equipment. Caught-in or caught-between accidents can frequently be avoided by taking special care to ensure that trench walls are reinforced and that work areas are clear of other people before moving heavy equipment. When these accidents occur, the catastrophic injuries that result can range from brain and spinal cord injuries to suffocation, amputation, or crush injuries. Equipment related accidents. Construction workers use and interact with many different types of equipment from a pneumatic nail gun to a crane. A malfunctioning nail gun can cause serious injuries and a crane collapse can also cause serious injury or death to construction workers. If the injury is equipment related, and the cause of the injury is found to be a mechanical defect, then there is the option of filing a product liability claim against the manufacturer to hold it responsible for your injuries. Fire/explosions. Fires can ignite on construction sites because of the presence of flammable liquids, explosions can occur on demolition sites because of gas leaks and cause injury or death. Trench collapse. If a trench collapses while workers are inside, it can be deadly. Workers can be crushed, or injured in the fall. Exposure to toxic substances. There are many toxic chemicals and substances on construction sites that can cause serious injury or death from exposure, improper mixing, and inadequate personal protective equipment. If a close family member has been killed in a construction accident, you must move quickly to protect your family’s legal rights and ensure that you receive the full amount of compensation you are due, so that you and your family can plan for a more secure future. First, make sure that your family member’s employer knows about the death. Provide a brief written statement that describes the date, time, and basic information about the accident and the date, time, and cause of death. You may also need to fill out paperwork to preserve your family’s workers’ compensation claim for death benefits and other compensation. Next, preserve any evidence you have related to the accident and the death. Make copies of medical records, the death certificate, any accident reports, and any contact information you have for co-workers or other witnesses who were present when the accident took place. Keep these copies in a secure location and bring them to your meeting with your lawyer. Contact a construction accident attorney as soon as you can. Your lawyer can help you establish your family’s right to compensation, negotiate with insurance companies, and develop a wrongful death case for a hearing or trial if needed – so that you can focus on taking care of yourself and those you love. At Warren & Kallianos PLLC, we are here to protect your right to recover compensation for your construction accident injuries. You are welcome to schedule a free consultation to review your case. You may call our office at 704-275-5593 or contact us online to schedule a free and confidential consultation right away.